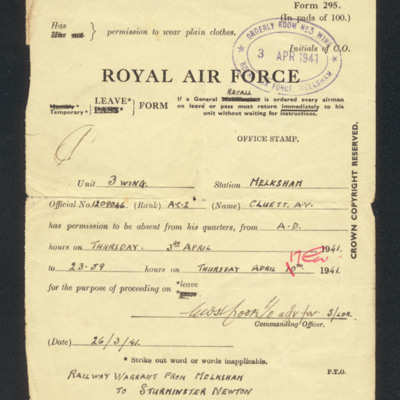 Leave form for A V Cluett from 3 Wing RAF Melksham for period 3 April 1941 to 17 April 1941. 60 personnel arranged in five five ranks, are standing, seated or crouched in front of an hangar hangar door with number 5 on it. 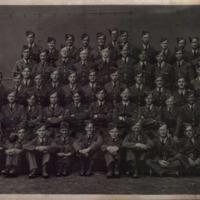 John Baggs is in the front row, second from the right.